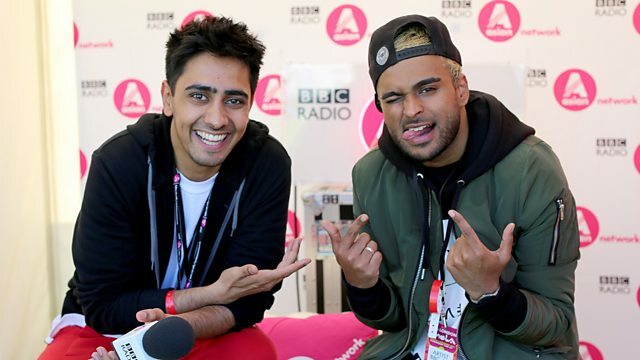 Yasser presents highlights of the London Mela 2015 with live music from Cold Fever, plus Arjun joins him live in the studio. New Music Man Yasser presents his highlights of the London Mela 2015 with live music from Cold Fever, backstage interviews and much more. Plus Arjun joins us live in the studio to drop off his new record! If you really want to get ahead of the game you'll want to find out which brand new artist Yasser has picked as his BBC Introducing Artist of the Week. Plus each week, Yasser scours the internet for amazing cover versions by Asian artists from right across the globe. We close the show with a journey into Yasser's Future Beats Generator. This is the part of the show where we let producers do their own thing, and take us into places we could never have dreamt of! Check out the London Mela 2015 from the Gunnersbury Park, London. Tha Alumni Music Group/88 Classic/RCA Records. Lilly Singh & Humble The Poet. STG Studios and HKC Entertainment.